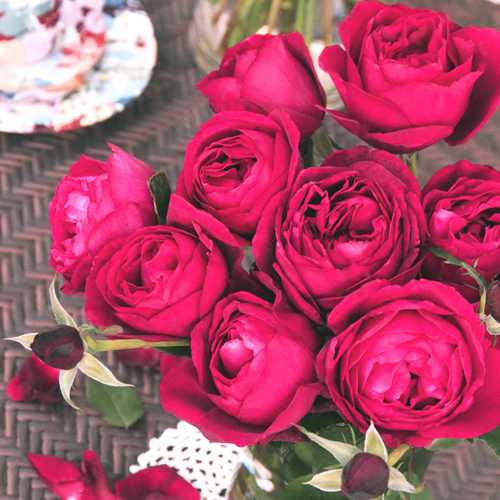 First of all, rose includes the following two kinds of it; roses for gardens and roses for cut flowers. 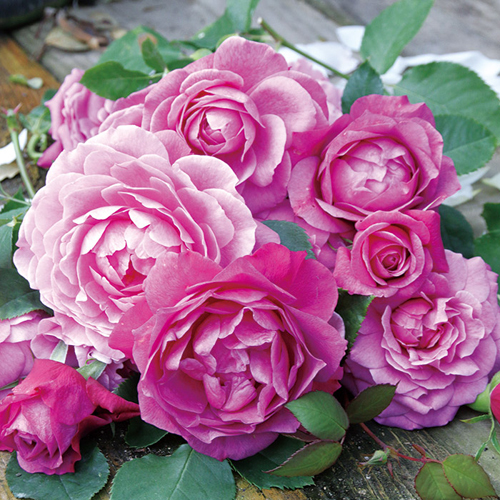 F&G rose was made by crossing these two variesties, and it has both of the good aspects. 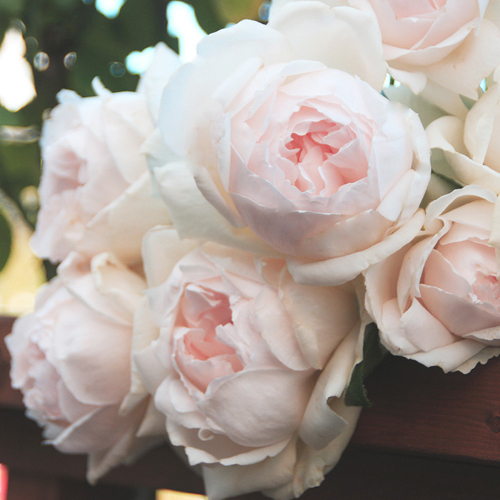 The characteristics of F&G rose are its form, fragrance, and how to bloom. Also, F&G rose is viewable from spring until autumn. 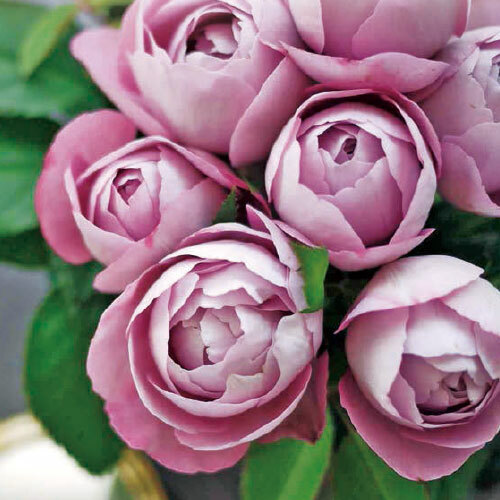 Keihan Garnening Co. are seeking new color, form, and fragrance of rose that we have never seen. 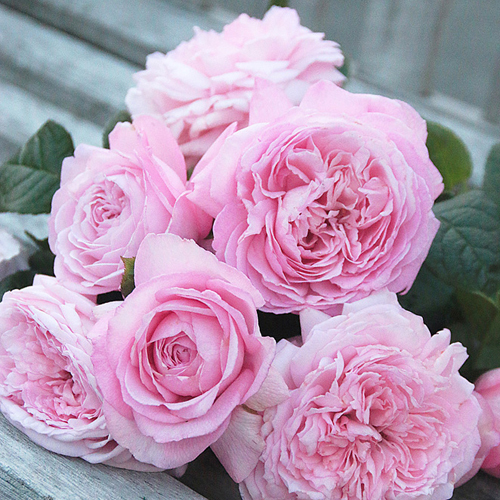 When we first introduced F&G Roses, we focused mainly on increasing the varieties in the Wabara (Japanese roses) series, a collection that, bred by rose expert Keiji Kunieda, evokes a traditional Japanese atmosphere. However, recently the Neo-Modern series, produced by Imai Nursery and inspired by the concepts of “Taisho Roman” and “Showa Modern” (cultural stylings of the Taisho period and the Showa period in Japan), has been developed, and the Rose Aromatique series, bred by rose specialist Ken Osanai, has also been launched and expanded since 2017. 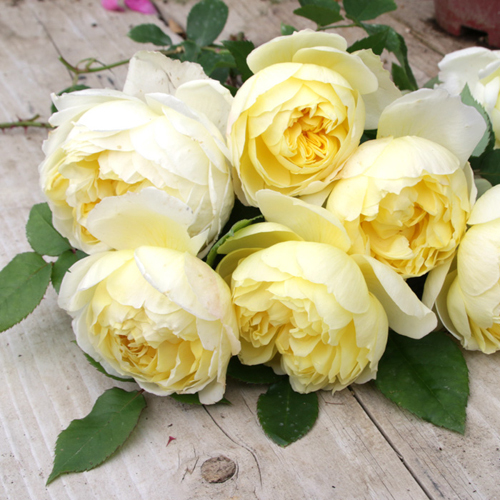 F&G Roses has now grown to become a brand comprising a far more extensive collection of rose varieties. These are a part of F&G rose. They are so beautiful, aren’t they? We hope that you will be a big fan of F&G rose! people can feel that roses have many kinds of scents – each variety possessing its own unique smell. ‘Finesse’ is a French word meaning ‘fineness’ in English. It is also a wine term used to express ‘grace’, ‘delicacy’, and ‘elegance’. This rose is named as such from its flowers possessing colors close to the colors of wine, its fragrance, and atmosphere. It has a fragrance of Damask roses and an aromatic smell blended with the scents of violet and lemon balm. This rose plant is erect, and a kind that grows extensively. It is very floriferous and blooms continuously until autumn. Height: 1 to 1.2 m.
This is named after a wine-making technique called ‘assemblage’, which is used to produce flavor stability and high-quality aromas in wine and champagne. A rose with cup-shaped flowers that consist of numerous white petal layers. The flowers open up slowly, and a greenish part (the green eye) at the center of each flower attracts the observer’s attention. 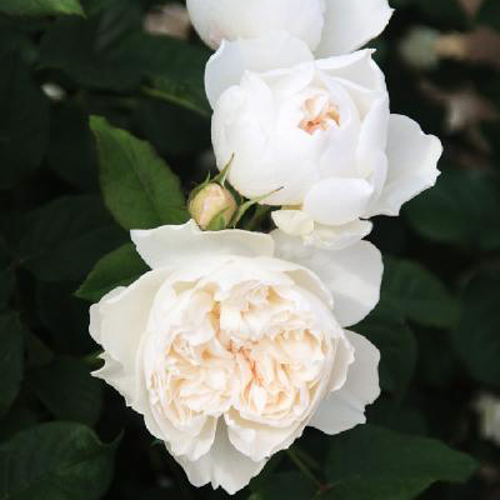 This rose has a damask scent inherent in most roses and an elegant fruit fragrance. It is also cold-hardy. This series of rose varieties is named after the western influenced, fashionable mood both nostalgic and modern that these roses possess, an atmosphere similar to that of Taisho Roman or Showa Modern – the stylistic traditions that flourished in the blending of Japanese and Western cultures. The erect growth habits of hybrid tea (HT) roses, cup-shaped and rosette-shaped blooms that are medium large, and with fragrant scents – this collection of showy roses bearing these three characteristics is the Neo-Modern series from F&G Roses. 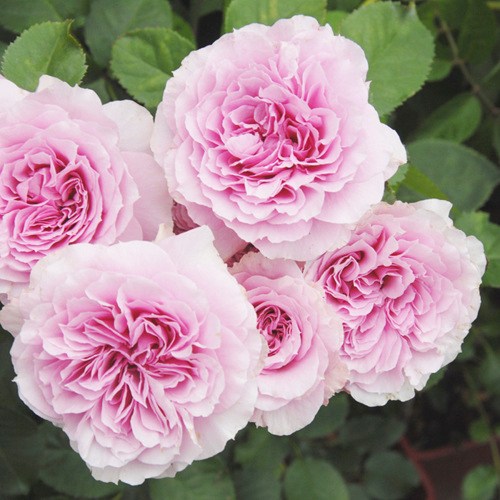 The roses in this series are produced at Imai Nursery, which is famous for its production of cut flowers. A flower of this rose has a blackish-red color that gives a calm impression of itself, with the blackish-red then turning to a passionate color of purplish wine red. 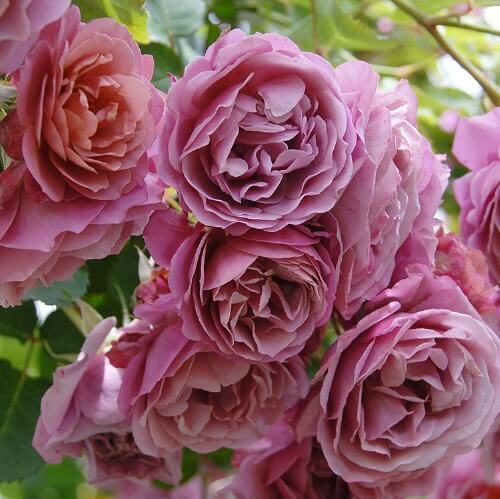 The dense, wonderful damask aroma is the main characteristic of this rose. The flowers bloom continuously until fall. The rose’s roots are neatly united, making it suitable for both gardens and pots. The name was created by transforming the English phrase ‘high color’ into a simple Japanese word. It is called this because the flower shape of this rose possesses not only western stylishness and vividness but also some sense of nostalgia. 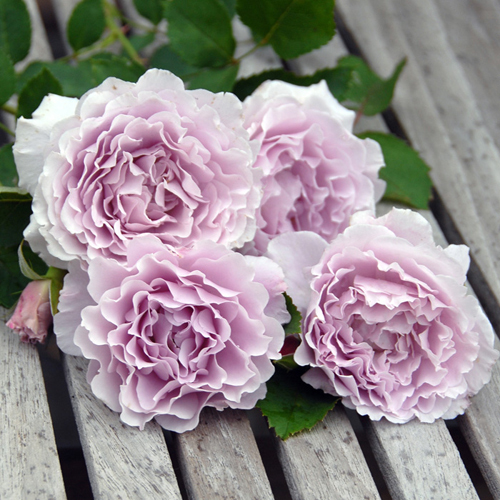 This rose’s main feature is its adult and cute coloring, turning from lilac-lavender purple to light silver. Its petals are very delicate-looking like multi-layered lace, and the flower blooms gradually and gently as if something were being held inside. It is very floriferous, and when many flowers are in full bloom, everyone’s eyes become glued to their striking beauty. ‘Libellula’ has an aroma of fresh muscat, and its name originates from a blue dragonfly living in some water zones around Greece. 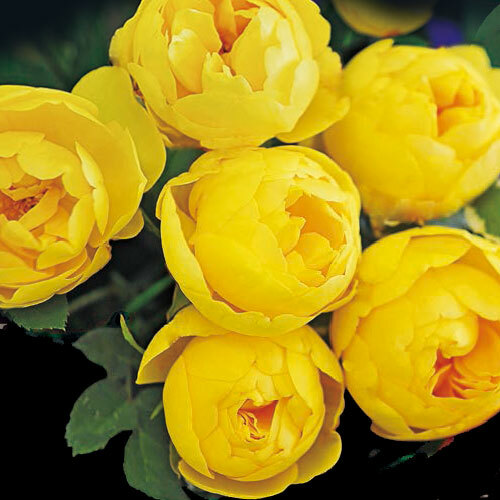 Kaorikazari was chosen as the best rose in the world by the readers of the gardening magazine, “New Roses” for two years in a row. 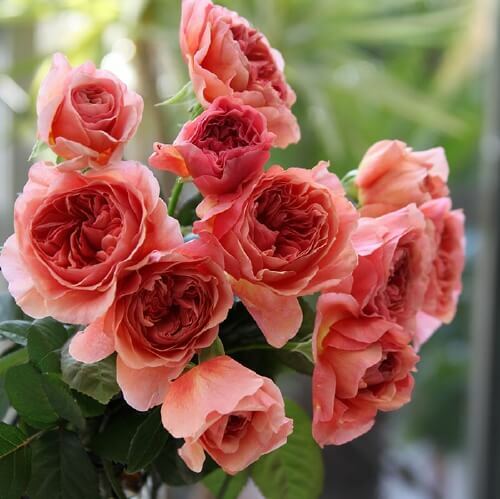 Its color is apricot which is rare in terms of the colors of roses, and it is also attractive that the form of Kaorikazari is going to change as it grows. Aoi fascinates people with its impressive figure.The fragrance is sweet. The petals look like frills, and the full bloom looks like a bouquet. Aoi continues blooming for 2 or 3 weeks. Furthermore, it is unlikely to get diseased, so it is easy for beginners to grow this flower. 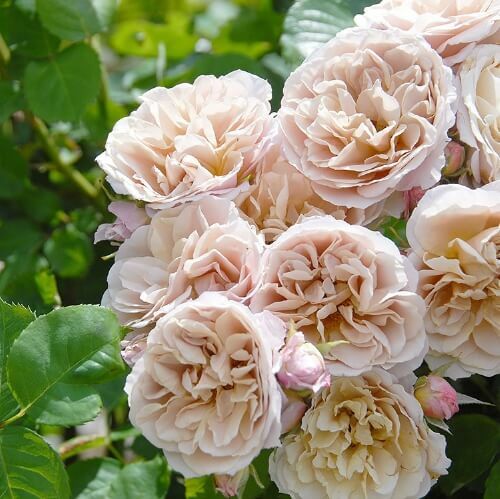 Iori is one of the cupped form roses, and its color looks like cafe au lait. Therefore, Iori makes people feel that it is cute and soft. In autumn, its color and form become deeper and deeper, so it has the effects of relaxation. 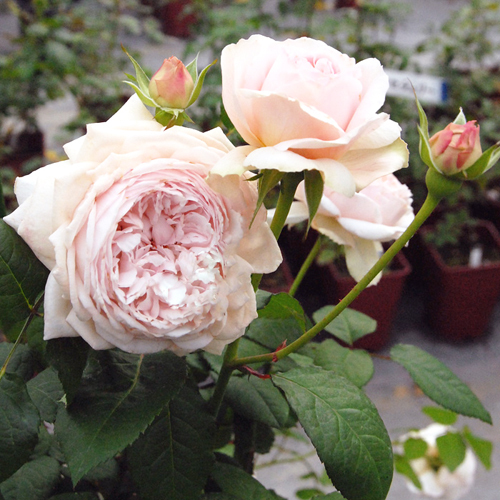 We can grow Iori easily at home, and it is the bud mutation of another F&G rose,Aoi which is also popular in Japan. Copyrightc Keihan Gardening Co.,Ltd. All Rights Reserved.